Finding common Salesforce Developer interview questions can be an extremely useful exercise, not only to help you brush up on your knowledge for your next job interview, but also to help your composure by giving you an idea of what to expect. Reaching the interview stage of a job application is already an achievement — your resume has evidently caught the eye of your potential employer, and they’re ready to speak to you to get a feel for how you would fit in the business. However, preparing to be your best self during an interview can be a daunting task. To help you land your dream role in Salesforce, we have compiled a list of topics and typical Salesforce Developer interview questions that you can prepare to answer. You’ll find that as well as technical questions relating to the Salesforce platform, there will also be questions that are used to establish your passion towards work, your cultural fit, and what you will be like to work with. The Mason Frank Salary Survey provides a unique insight into the Salesforce Ohana. Complete the form below and receive your PDF report in seconds. First and foremost, your potential employer will want to test you on your technical knowledge — they’re hiring you to be a Salesforce Developer, after all, so they want to be convinced that you’re qualified to fill the role. If you’re an experienced developer, you may be confident of your level of knowledge. 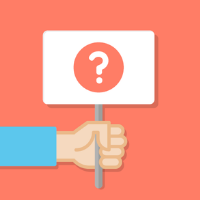 Even so, you may still be asked a technical question in your interview that draws a blank. This is fine, but why not give yourself every possible advantage by being aware of what kind of questions that interviewers tend to ask and, more importantly, how to answer them. What is a Sandbox? What are the different types of Sandbox? In the context of development, a Sandbox is a testing ground for code before it is implemented into production. There are several different types of Sandbox, with the distinction being how much data the Sandbox can store, and the type of data it can copy from production. A workflow helps to automate the following actions: create a new task, send an outbound message, send an email alert, or update a field. What is the distinction between Trigger and Process Builder? Trigger is a code-based evaluation of criteria in Apex, used to set a chain of events. Process Builder evaluates criteria and performs actions when criteria has been met. What is Field Bucket used for? Field Bucket can be used to categorize records without adding any extra data. What is the difference between S-Controls and Visualforce? S-Controls are widgets inside the Salesforce platform. This is now superseded by Visualforce, however, which is the new markup language for Salesforce. It’s probably a futile exercise to compile a huge list of answers to the most-common Salesforce Developer interview questions, as you may be tempted simply to memorise these answers. A far more effective exercise would be to read through a list of common interview questions and research/deliver the answers yourself. A deep understanding of the subject is infinitely more valuable than simple memory recall, after all. The following resources contain a huge number of interview questions, some of which are possibly far more technical than you would ever expect when being interviewed by anyone other than a Salesforce professional. Nevertheless, work through them and make a note of any that you struggle to answer — identifying weaknesses and holes in your knowledge gives you the opportunity to learn more. Better now than in the interview! SF99: Common interview questions for Salesforce Developers — a list of 37 interview questions specifically for Salesforce Developers. You may also benefit from checking out their coding challenges page (detailed later in this resource), as it is not uncommon to be asked to code during an interview. Trekbin: Salesforce technical and customization questions — while this resource is quite old, being published in 2010, a lot of the questions are still very relevant. For those that aren’t, make a note of how technologies have changed and use that knowledge to bolster your understanding of the Salesforce platform over time. It never hurts to learn how the technology has developed. 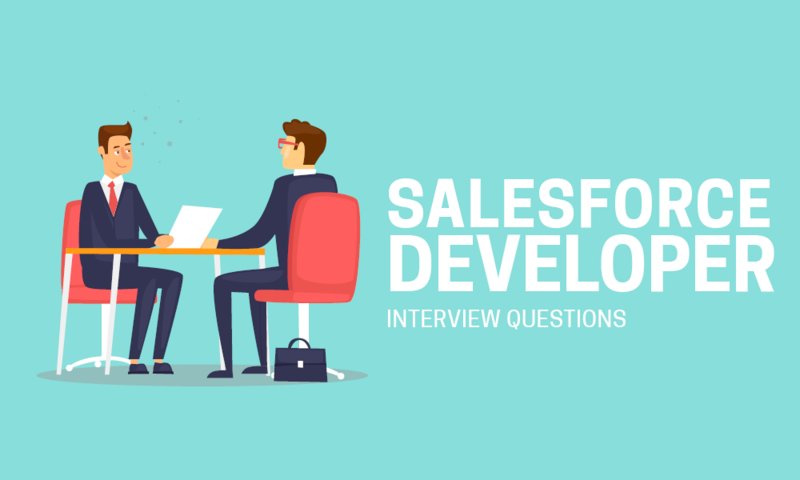 Anup Kabra: Frequently asked Salesforce interview questions — this resource contains questions that are relevant to a number of job roles in Salesforce, but a lot of them are very relevant to developers. There are also some detailed answers given, which always helps. As well as being asked technical questions in your interview to get a measure of your knowledge, you may actually be asked to do some coding. As explained by David Liu in the Trailblazer Community forums, this is so the employer can get a measure for how you communicate when working on a technical project, as well as how competent you are with the nuts and bolts of the job. Depending on where your strengths lie, this could actually work to your advantage, but it never hurts to get some preparation in just in case. There is a great coding challenges section on SF99 to test your skills in practice. Whether you’re messing around in your Developer Edition or coding in a whiteboard during an interview, knowing solutions to some of the more common coding problems can give you a huge advantage over the competition. As well as testing your technical knowledge, potential employers will also want to know about your professional history — how you arrived at where you are and what caused you to pursue your career path in the first place. It says a lot about someone’s ambition if they have constantly grasped opportunities to improve themselves, and it is up to you to demonstrate your passion and experience to the interviewer. You can’t be told how to answer the following questions, as it’s very much a case of demonstrating your own experience, but we can certainly give you guidance on what the interviewer is really trying to find out by asking such questions. Where did you first learn to become a Salesforce Developer? Many Salesforce Developers have a background in computer science or programming, but others have stumbled upon the technology and fell in love with it, learning the basics before eventually becoming a Developer. With this question, the interviewer is trying to find out what it was specifically that drew you to your current job role. Are you a developer at heart? Do you excel at problem-solving exercises? Do you take pride in developing solutions for small businesses? Think about your key experiences and how they defined you as a professional. If you are Salesforce certified then this will be quite a straightforward answer. You can tell the interviewer when you became certified, how you found the certification process, and how certification has aided you as a developer. If you aren’t Salesforce certified, it may help you to learn a little about Salesforce Developer Certification and how the process works. There are three types of certification for developers — Commerce Cloud Digital Developer, Platform Developer I, and Platform Developer II — and even if you haven’t worked towards any of them, demonstrating that you know what they are and how to attain them shows your understanding of the Salesforce environment and indicates that you have ambitions to become an expert in your field. Have you ever had to deal with data loss? What are some of the causes and workarounds? As a business with an administration system such as CRM or ERP software, one of the biggest concerns is the loss of data and the impact that can have on the organization. As a developer, you will be expected to implement safeguards against loss of data, or to take preventative measures to ensure loss of data never occurs. With this question, the interviewer is looking for experience and examples, as they want to know whether you will have a contingency plan in the worst case scenario. There’s nothing shameful about admitting mistakes in the past in regards to loss of data, as long as you have learned from them and identified why data loss occurred. Demonstrating this in the interview and posing practical solutions will definitely work in your favour. 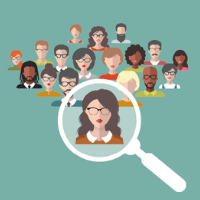 While we have explored how to answer both career-oriented and technical Salesforce Developer interview questions, you still have to work hard to stand out from the pack. The likelihood is that you’ll be competing for a job role with several other candidates who may have the same amount of experience, an equivalent number of certifications, and the confidence to excel in the job role. You need to find a way to rise above your competition. Consider the following practices to prepare yourself for the interview. Often it’s not the things you say but how you frame them that rings true with an interviewer; being honest, critical, and analytical about your own experience can go a long way in winning over your potential employer. 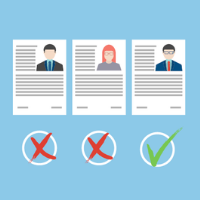 Interview questions are asked with the intention of finding out how knowledgeable and experienced you are, but having more years of experience doesn’t necessarily make for a better candidate. Typically, a junior developer will have around 1-3 years of experience, a mid-level from 3-5 years, and a senior developer will usually have over 5 years experience. People don’t always fit into that mold, however. Experience can be accelerated or slowed down by the size and type of the organizations you’ve worked for, your roles within those companies, and the projects you’ve worked on. If you don’t have many years of experience, consider what you have achieved that others may not have. Have you ever worked contracts? Adaptability is a great quality that those working on long projects may not have developed. Have you ever travelled or relocated for a new job? Emphasise how you pushed yourself out of your comfort zone for an exciting project. Interviews can be structured in many different ways. They can be simple, informal chats, scripted tests, practical exercises such as writing or fixing some code, or a combination of many different things. Just remember that you are well within your right to ask prior to the interview exactly what to expect. It’s not easy walking into a room and being hit with a surprise technical exam. Consider the different industries and size of organizations you have experience working in. If you have worked in a large business you may appreciate the challenges that communication can bring, while if you have worked in small businesses you may appreciate the restrictions that a small budget can impose, and how to navigate them. Talk about these challenges and relate your experience to the industry and size of organisation you are interviewing for; being honest about this will be refreshing for the interviewer, as the likelihood is they have been frustrated by the same things in the past. You don’t have to be negative, just discuss stumbling blocks in a matter-of-fact manner, with the emphasis on problem solving. Before your interview, reflect on your past projects and get to know your abilities inside out. You will be required to give examples of projects you’ve worked on in the past. More importantly, however, you should prepare to justify why you made the decisions you did throughout your project. It’s good to be able to recite your experience well, but showing you understand why you made those choices will showcase you as a stronger developer. You should also consider how your previous projects affected the organization in the long term. This will demonstrate that you are forward-thinking and understand the consequences of your decisions in the grand scheme of things. Be conscious of the required skills listed in the job post and make reference to these in the interview. You could even enquire about skills expectations with your potential employer, discussing your own strengths and weaknesses and how you see yourself developing in the future through independent or guided learning, or work experience. As well as demonstrating your attention to detail, this will also show that you are realistic about your own skills and don’t mind admitting when there is room for development — just don’t sell yourself short! In the interview, discuss the type of projects that you will be expected to work on both when you start the job and in the future. Outlining short- and long-term goals not only shows that you are invested in the company and its aims, but also reinforces yourself as a strong candidate — how many other interviewees will have set themselves targets before even being offered the job?! It can be easy to get lost in your mammoth technical knowledge as a developer, but it’s important to remember that often the interviewer will not be familiar with the jargon that developers use when detailing problems and solutions. Always articulate your points concisely and clearly; successful developers are good communicators who can translate their work into so-called ‘layman’s terms’. While your technical knowledge may be unmatched, it won’t count for anything unless you can explain yourself to a non-expert. 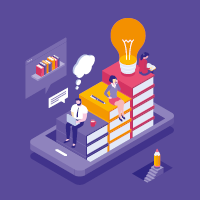 This can often be difficult to do, however, so it may be worth looking through the Salesforce Developer glossary for accessible definitions of technical concepts and terminology. Try to answer interview questions with as many examples as you can. This adds weight to your insights and makes what you say more credible. However, be sure to not disclose any sensitive information or data about the organizations you are discussing, as this will only reflect badly on you. In the developer world, using examples is the difference between being book-smart and street-smart. After all, knowledge isn’t power; application is power. Whether an interview is successful or not, it will always be valuable experience. If you’ve fully prepared for the interview — practiced answers to these common Salesforce Developer interview questions, considered your own goals and ambitions, and took steps to stand out from the hoard — you don’t have to feel any disappointment from an unsuccessful interview. Just remember to go into the interview with confidence; whether or not you feel you’ll land the job, you wouldn’t have applied in the first place if you didn’t feel up to the job. Employers are looking for enthusiastic, knowledgeable professionals who will be a good cultural fit for their company, so just be honest and enjoy the process. Best of luck in your hunt for your next Salesforce job, and don’t hesitate to get in touch with our team of expert recruiters if you need any advice or assistance in your job search. The latest Salesforce news and advice delivered straight to your inbox. You can unsubscribe from our emails at any time. 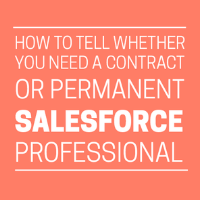 Hiring tips: do I need a contract Salesforce professional?